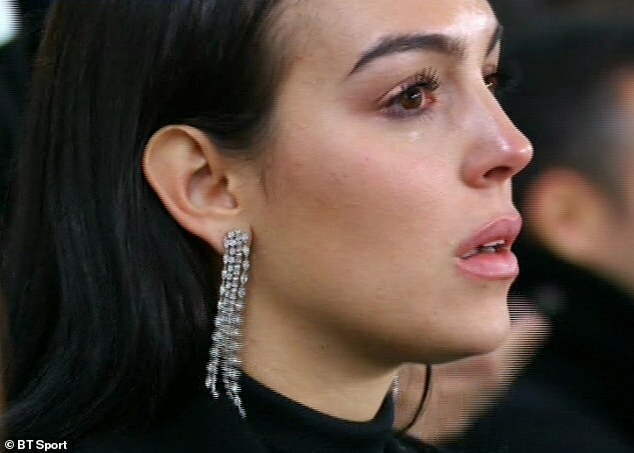 Cristiano Ronaldo brought his own girlfriend to tears after inspiring Juventus to one of the great European comebacks against Atletico Madrid on Tuesday night. The Portugal star, who is now on course for his fourth straight Champions League trophy, scored a hat-trick to help Juve overturn a two-goal deficit in the second leg. 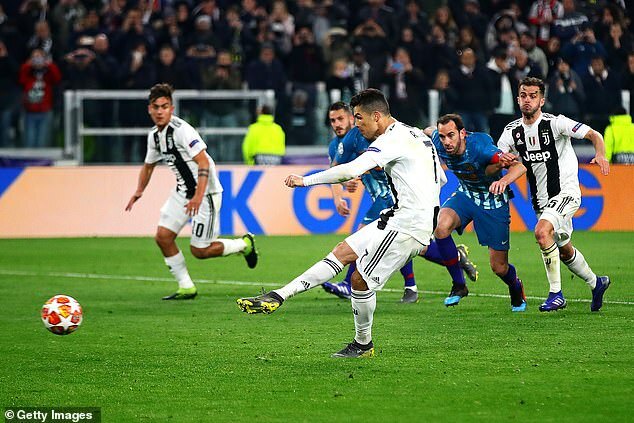 Ronaldo netted a header in each half to bring the tie level on aggregate before a late penalty sparked jubilant scenes in Turin – especially among his own family. 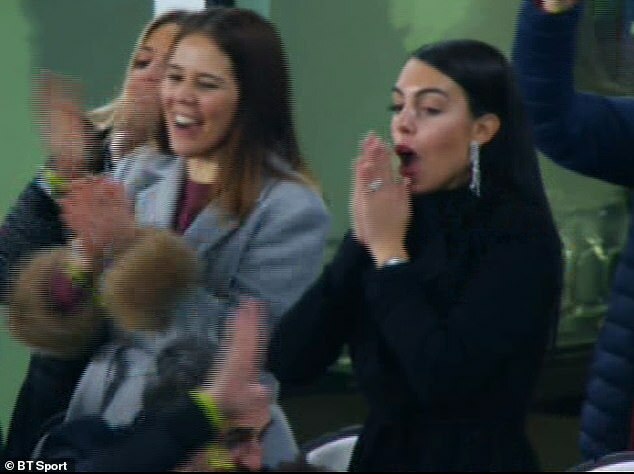 Ronaldo’s long-term partner, Georgina Rodriguez, looked stunned after watching the former Real Madrid man slam his spot-kick past Jan Oblak in the 86th minute. After taking a moment to catch her breath, Rodriguez couldn’t help but let her emotions get the better of her and she cried tears of joy in the stands of the Allianz Stadium. 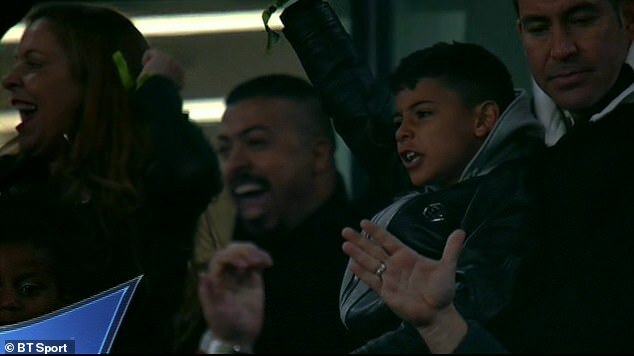 Ronaldo’s son, Cristiano Junior, was also caught on camera celebrating wildly after seeing his dad complete his hat-trick with a confident spot-kick. The eight-year-old, who wants to follow in his father’s footsteps, punched the air in delight as Ronaldo was mobbed by his team-mates following the decisive goal. After the game, Rodriguez took to Instagram to pay a heartfelt tribute to her boyfriend and his achievements. 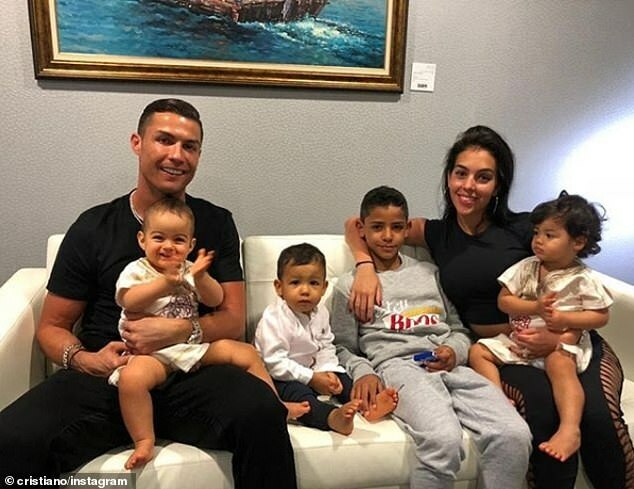 The pair have a daughter, Alana Martina, together, and also take care of Cristiano’s twins, daughter Eva and son Mateo. Alongside a pictured of Ronaldo posing in a football kit as a child, Rodriguez wrote: ‘This 3-0 nobody steals it. You deserve it, not for the three goals tonight. ‘You deserve it for your dedication, for what you get in the club where you are. You are a trailer for your team-mates, coach and everyone we admire and support every day. Ronaldo’s performance helped Massimiliano Allegri’s men into the Champions League quarter-finals, where they could face his former club Manchester United. Atletico had been favourites to make it through after winning the first leg 2-0 in Madrid, but they were blown away by Ronaldo and Juve on Tuesday night. ‘It had to be a special night and it was. This is the mentality you need in the Champions League,’ the 34-year-old told Sky Italia.